Holy shiz people, it has happened. NSW Parks and Wildlife Services has made like Silicon Valley and created an entire app to help you nail that adventure life you’re all about. How much does this damn app cost you ask? Good news, it’s absolutely, friggin’ free. 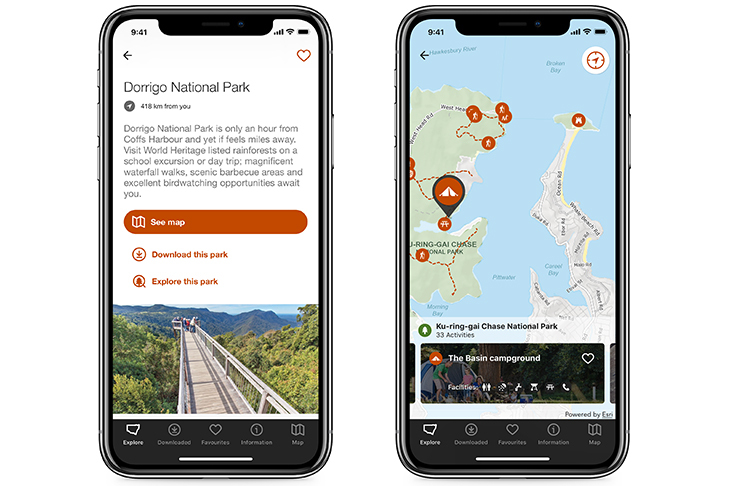 It’s also compatible on iOS and Android which means unless you’re sporting a rock-solid Nokia from 2001, you’re pretty much good to go when it comes to exploring the 225 National Parks the best state in Australia has to offer (we're not biased, you are). Basically, you can use the handy app to download maps before you visit anywhere and then access it while you’re living your best hike-lyf even if there’s no reception. It also allows you to discover things to do around the area (ie. you’ll know where to go for your closest pee-break), find waterfalls and hella fab lookouts, browse and locate campgrounds and you’ll even be able to save your favourite parks, activities, accommodation spots plus things to do and see. We know you’re keen ‘coz so are we so jump right on over here to download this handy lil’ bugger stat. Just to add to your wanderlust, here are all the underrated National Parks in NSW.